The Advocacy group, Raise Your Voice Saint Lucia, is concerned about the negative impact on fishers from the closure of the Saint Lucia Fish Marketing Corporation. In a statement to the media Monday, Raise Your Voice observed that women make up an important stakeholder group in fisheries and farming in Saint Lucia. However the organisation lamented that the women are often overlooked by policy-makers. It observed that in the matter of the closure of the fish marketing corporation, the United Workers Party administration of Prime Minister, Allen Chastanet, had closed the facility without the necessary consultation. Raise Your Voice accused the government of not considering the negative impacts on fishers, women, coastal villages and the island’s economic stability. “Vieux-Fort, Dennery and Castries Fishers are now powerless in an industry that contributes millions of dollars annually towards the island’s GDP,” the organisation asserted. “We are appealing directly to the Minister of Agriculture, Mr. Ezekiel Joseph, to reopen discussion on the future of the Fisheries Industry,” it stated. 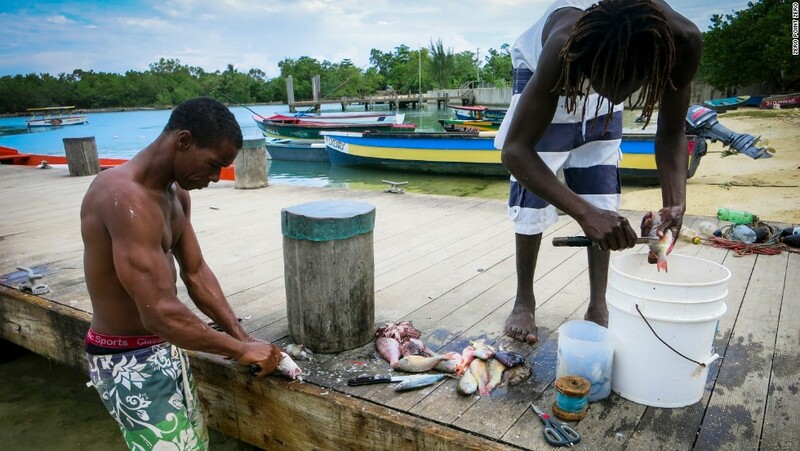 According to Raise Your Voice Saint Lucia, the decision to close down the fish marketing corporation will have ‘long lasting and detrimental effects’ on livelihoods of women, children and coastal communities. The advocacy group noted that fisheries and farming are indigenous industries which do not require formal systems. “These industries provide a means of survival for coastal villages where formal employment does not exists and successful employment generation strategies by government have been nonexistent,” it observed. “Women’s incomes from engaging in fisheries and farming contribute to household food security more directly than men’s because women traditionally contribute a greater portion of their earnings towards feeding their families and maintaining the household,” Raise Your Voice stated. The livelihood of fishers has long been overlooked, neglected and unsustained effectively. Instead of bolstering the industry with “education” on how fishers could better themselves, this government seeks to “remove” instead of “improve”. Thereby bringing up their political view of destruction instead of construction in sustaining an industry. The debasement of fishers is one of my pet peeves – instead of bringing in and cultivating new ideas to today’s fisherman, they rather remove them!! Not thinking cleverly at all. Why not instruct and educate the new fisherman/fishermen in purchasing trawlers in a collective fashion, where they can go to sea for a few days, catch and prepare the fish for immediate sale (most modern trawlers have refrigerated holding cells for freshly caught fish – to keep them fresh). That way, fishers would be emboldened to catch, prepare and retail their catch more effectively, and in a more healthy manner. The way fish is caught and prepared now, is hundreds of years of outdated tradition (and not in the least healthy). It is time to move with the times. I am aware that my view is easier said than done -but with proper education and training – that is the path to take, rather than destroy a viable industry. Kudos to “Raise your Voice St Lucia” for bringing the fishers plight to the fore. I hope it does not go unnoticed. Fishermen have been doing the same thing for the last 100 years. They choose not to educate themselves and improve. The same fishermen that own smartphones with internet access. Internet which provides a wealth of knowledge on every topic imaginable. They need to spend their money improving themselves and not wait for government handouts. @ Blue … you are so right. But put 10 fishermen to improve themselves by today’s standards, only 2 might take the bait! At least, it would be a start. Government or no government. If this government can only do things to uplift the economic conditions of poor people who are willing to help themselves, I will be ecstatic to shower praise on them. Government is obligated to create an enabling environment for citizens to be gainfully employed. This government seems to take pride in doing the reverse. They are boxing food out of people’s mouths. To close down a public entity that employed so many economically struggling citizens so abruptly and without proper consultations is criminal. I swear to God that there are criminals running this government. These people are demonically heartless. They watch the least among us suffer and turn a blind eye and a deaf ear. These people have stolen the conscience and soul of the nation. We still using pirogs,because the price of a boat is out of this world.Most can only afford that and nothing else Its all economics,the more you have the more you catch,dosent work that way.Besides our fishers are traditional fishers,there not into what they call fancy stuff.Besides they mised a lot of school time,so one can only hope that the generational change over will better things.A 45 footer boat one engine brand new,is in the range of US 350.000 in Canada.Just for markers,any second hand piroge will cost US 10.000,and up in Martinique,plus all the rest.And people dont spend on fish,you can be on the street till midnight.Course we have to change a lot,get better boats,learn better ways of fishing,and a new generation to take over. Where were all these groups when these same fishermen were being paid 6-12 months after they sold their fish to them same fisheries. Kenny Anthony in opposition protested with the fishermen for prompt payment for their fish. When he became the PM 2 years later he did his VFort fishermen the same damn thing. Took the fishermen for a ride and Raise Your Voice said nothing. over 70%-80% of the fish are being sold to fish vendors. The vendors are still around and they are buying all the fish at a price higher than the fisheries was buying. The records will show that under a UWP government our fishermen has achieved the most. FADs were introduced under the UWP government. It was under the SLP government the fisheries administrators started get very large salary, one of the reasons why the fishers were not getting paid on time. Again, 2 weeks ago this government got about $1.8 million US from the Japanese for the safety and welfare of our fishers. Raise Your Voice you can’t fool the people. I think you are affecting the fishers by writing this political crap.